Creating a stress-free home and environment is as easy as 1-2-3. 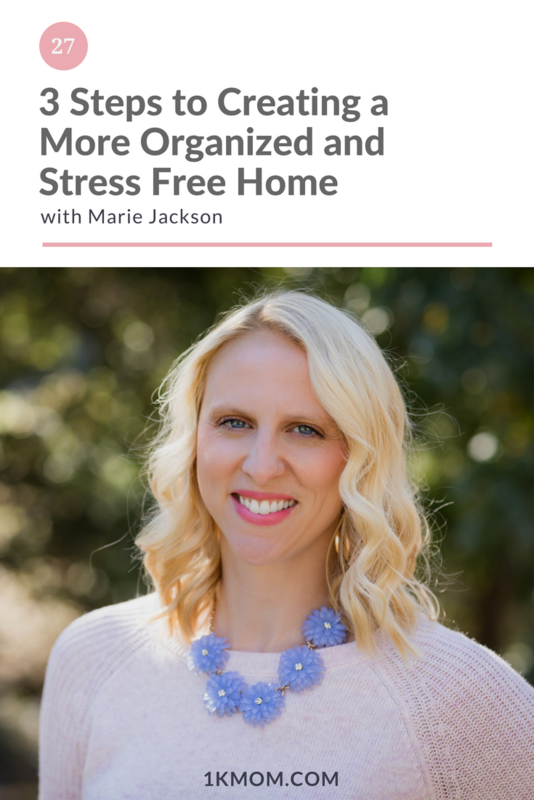 In today’s episode, Marie Jackson walks us through the 3 steps to organizing and creating a stress-free home. An innate organizer and planner. A working mom to two with a third on the way. A veteran of Corporate America for ten plus years. A Fargo native and sports lover. 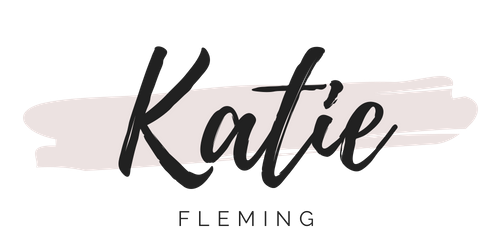 Creator of The Organized Planner which is designed for the working mom to help manage and organize personal and work life. 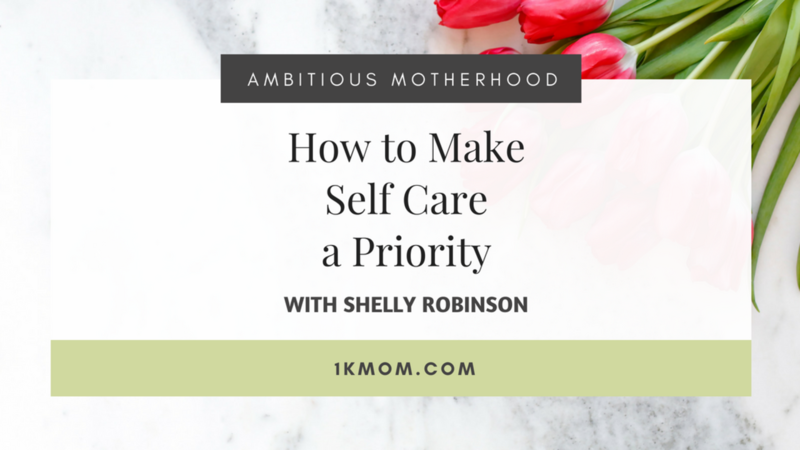 Self care is something that is so necessary but often overlooked in motherhood today. Self-care is not a one size fits all for mothers and changes day to day. 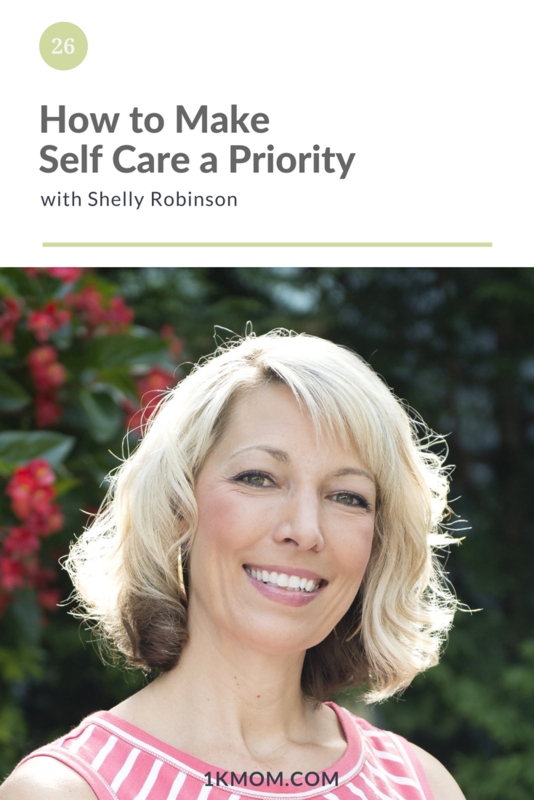 Begin today with this episode with Shelly Robinson and discover what fills you up as a mother and serves as your self care! Sometimes, I’m not going to lie, self-care is taking a shower with no kids barging in while jamming out to Justin Timberlake on my Amazon Alexa. Have you ever felt overwhelmed by your to-do list? 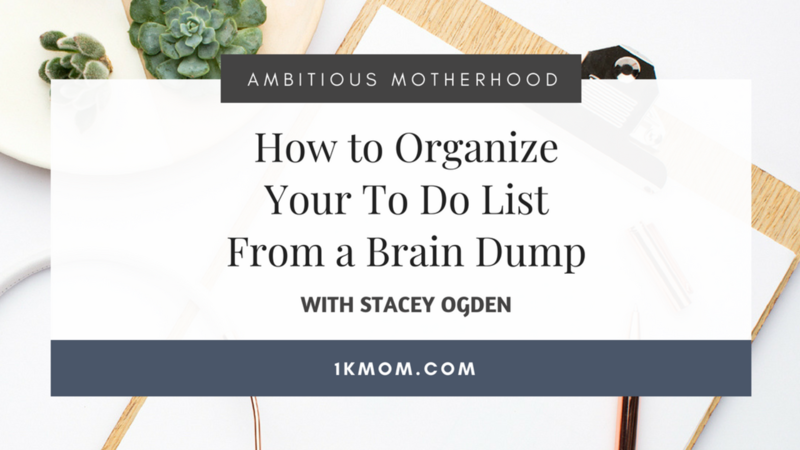 As moms, we are juggling all the things for all the people and in today’s episode, Stacey Ogden walks us through a very tactical way of going from a brain dump of everything you have to handle and organizing that into a strategic to-do list. Listen in and definitely let me know your AHA moments on Instagram! I’d love to see you trying this process out for yourself right alongside me. 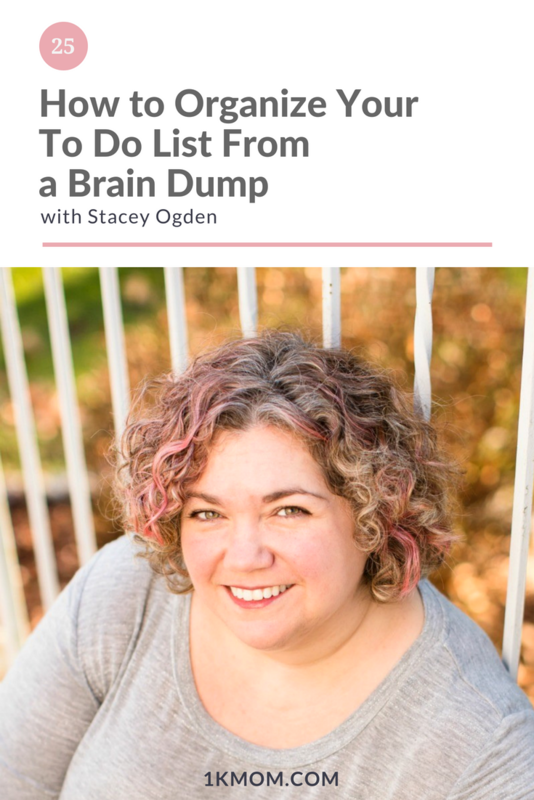 Stacey Ogden is the founder and owner of the Busy Mom Collective. 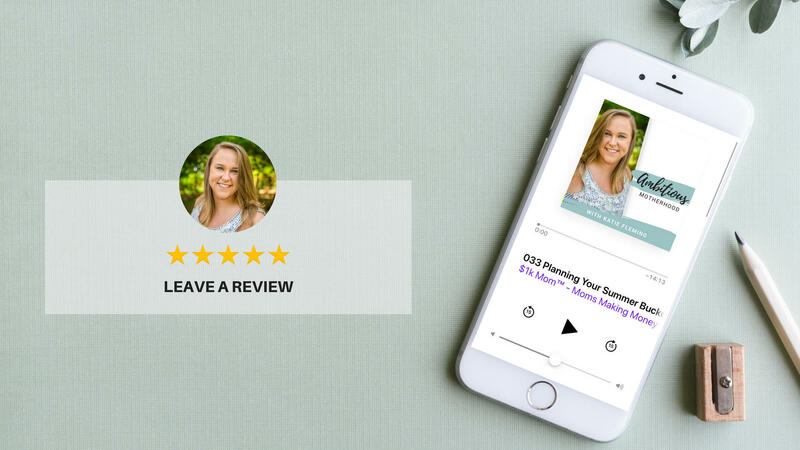 Through her podcast of the same name, and working one-on-one with clients, she helps working moms and mompreneurs master their schedules, own their time, and conquer their out of control to-do lists. She lives in western Connecticut with her husband, 7 year old daughter, and German Shepherd puppy where she teaches middle school music and runs a local chapter of Business Among Moms. 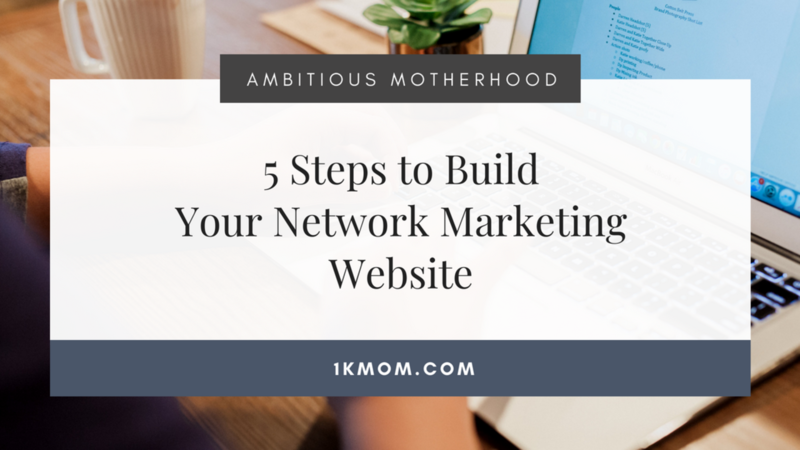 When building an online business, the main goal should always and forever be, more engagement and more connection with your people in your tribe. Facebook groups can be one of the best places to build authentic community, create an engaged following and provide immense value. 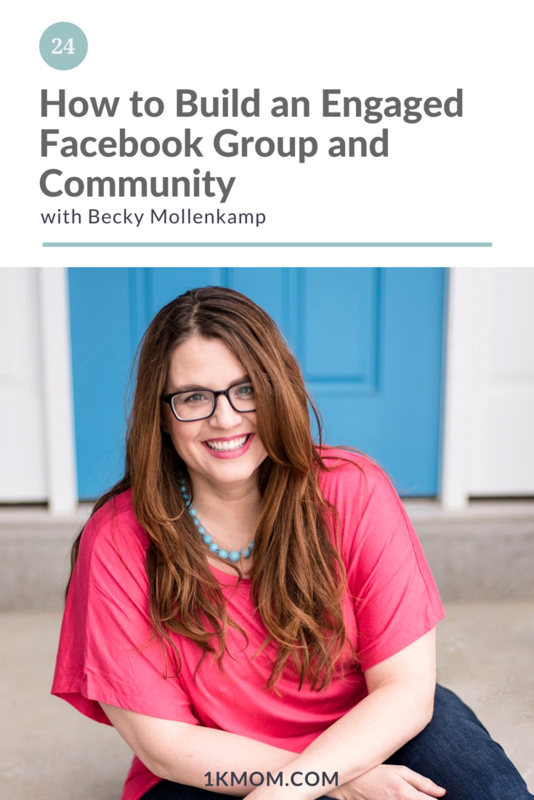 In today’s episode, we talk with Becky Mollenkamp on how she has organically and authentically created a highly engaged Facebook Group in less than a year! 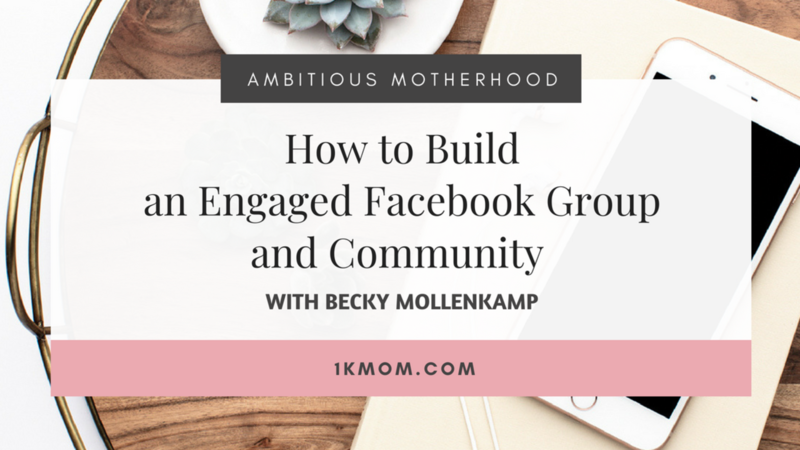 She is sharing the strategy and tactics behind building an engaged Facebook Group. 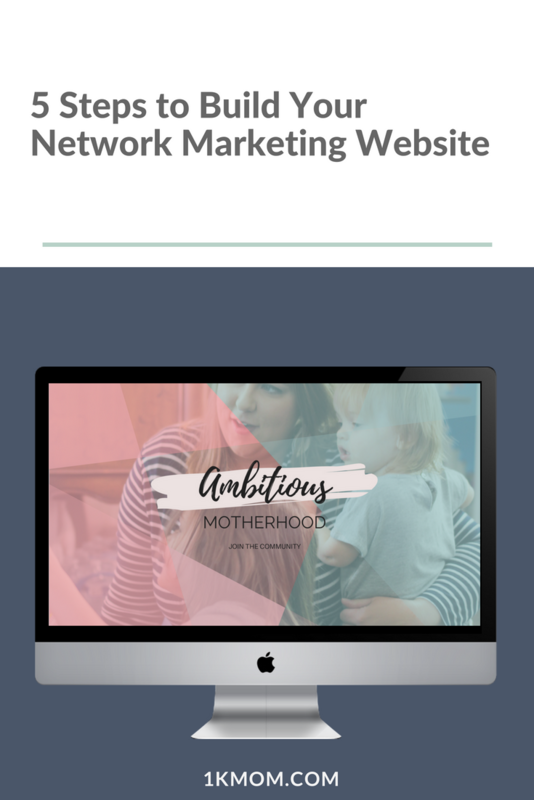 Have you ever wondered what it might look like to homeschool your kids while you’re building an online business? 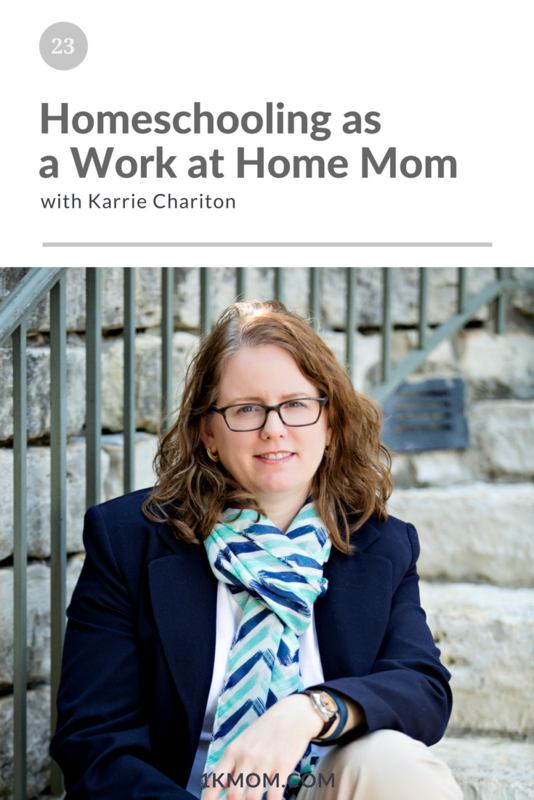 In today’s episode, we talk with Karrie Chariton about her homeschool and work balance. 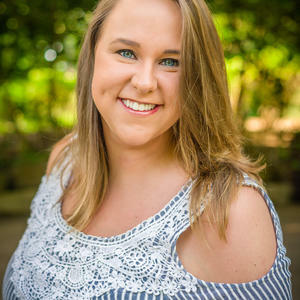 Karrie is a Virtual Assistant/ Social Media Manager specializing in Pinterest, and Wellness Coach teaching families how to rid their homes of toxic chemicals and taking control of their health through essential oils. She is a wife, mom, and homeschool teacher to 3 kiddos ages: 10, 13, & 16. (6:45) What is Karrie’s expertise? 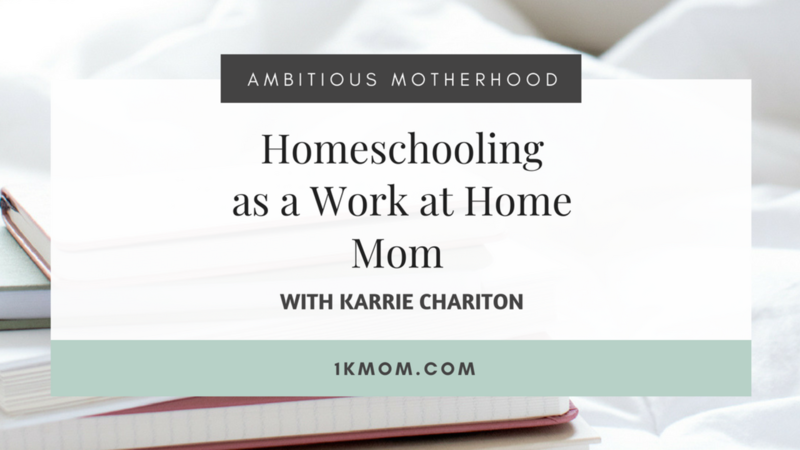 (12:50) How does Karrie manage homeschooling and running a business? 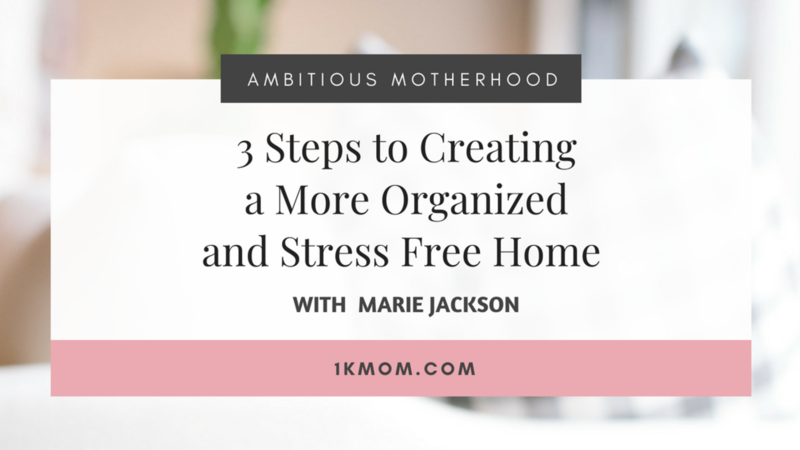 As moms running businesses, when we have a baby or some kind of life change, we have to take the time to prepare our business and household for a new baby. 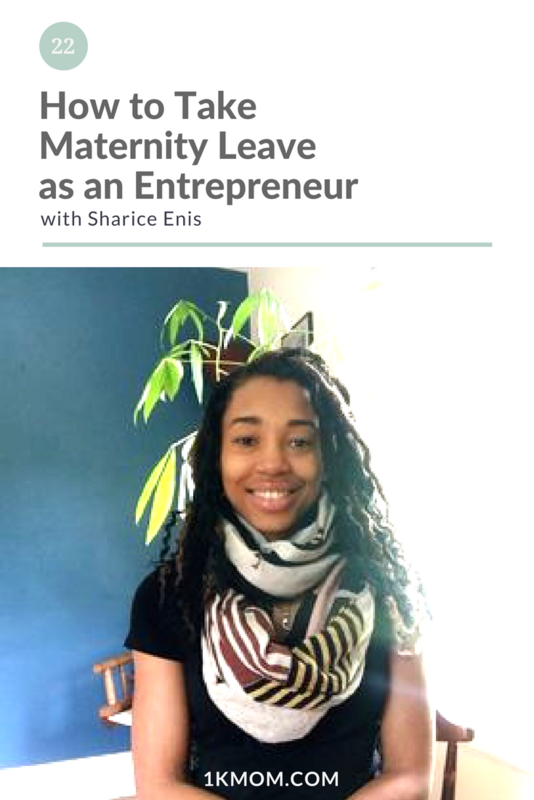 Some mompreneurs feel like they can’t take an adequate amount of maternity leave but today on the $1k Mom podcast we talk to Sharice Enis who has prepared her business and household for 12 weeks off of complete maternity leave! Listen to today’s episode to hear her wisdom on how she is making it happen! Sharice is a digital marketing tech nerd, strategist, and entrepreneur behind Sharice & CO a virtual assistant business helping busy entrepreneurs free up their time. 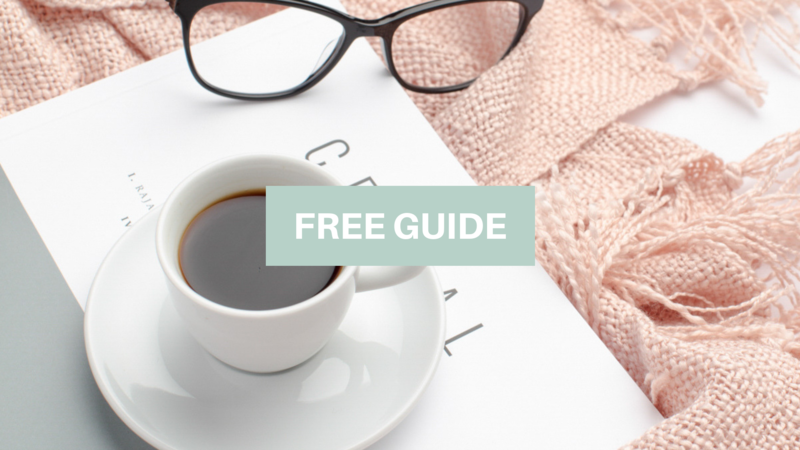 Through her virtual assistant business, she is here to help you systemize, strategize and streamline your business without spending hours in front of the computer. 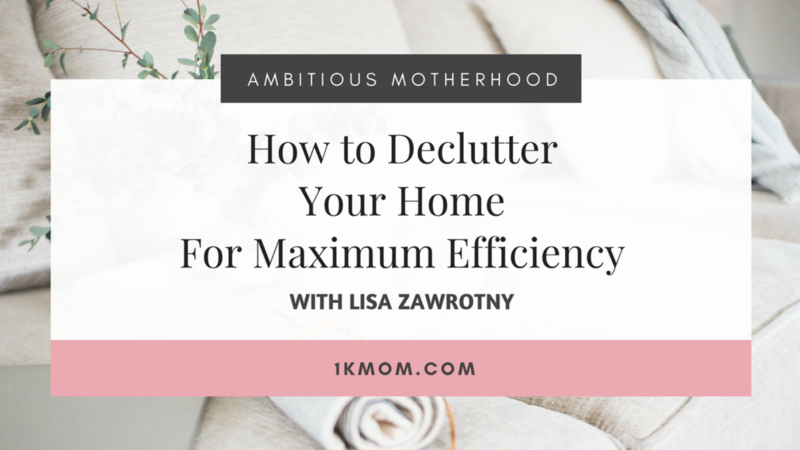 Have you ever wanted to declutter your home but didn’t know where to start? You could feel your home draining your energy because of all of the clutter and things that were constantly out, unorganized and out of place. 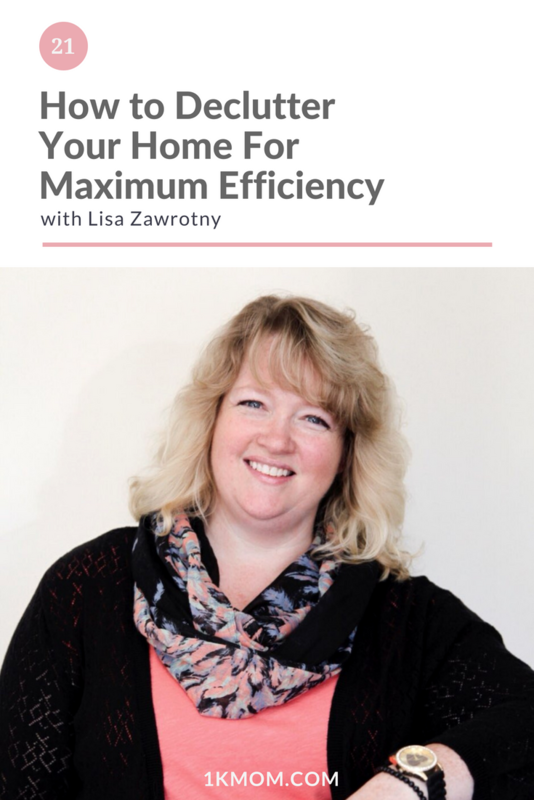 In this episode on the $1k Mom podcast, we talk with Lisa Zawrotny about her unique approach to home organization, productivity and business and how our stuff that is in our environment plays a huge role in our family life, work life and personal life. Before you grab the trash bags and declutter your space, give this episode a listen, because the stuff is not truly what it’s about. (2:15) How did you end up in this Life Coaching niche? 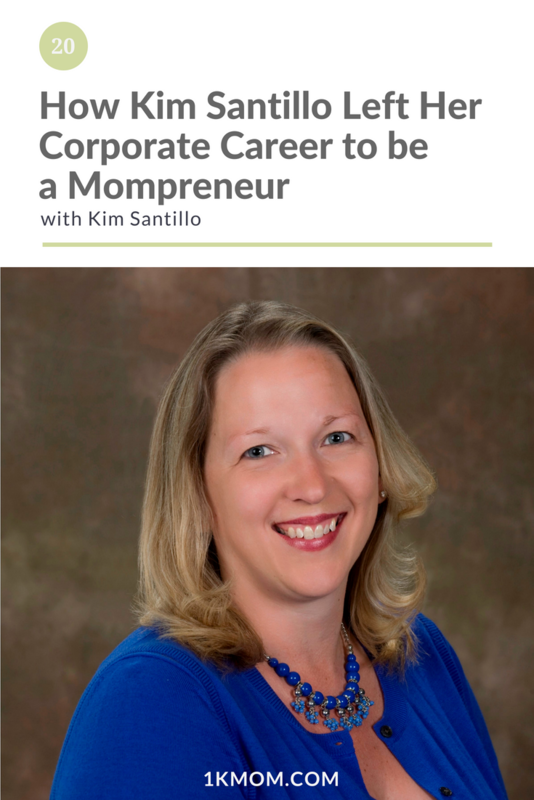 Hindsight is 20/20 and in this episode, you’ll hear more about Kim Santillo’s journey towards leaving her corporate career to become a full-time mompreneur. What would she have done differently if she could do it all over again? 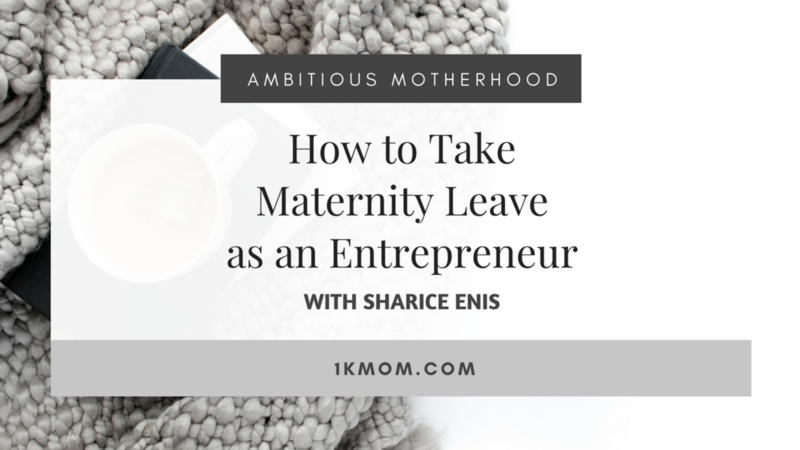 If you are considering making the jump to full-time entrepreneurship, consider if you are the type of person who needs a plan or a push out of the nest to figure it out! Give this episode a listen! 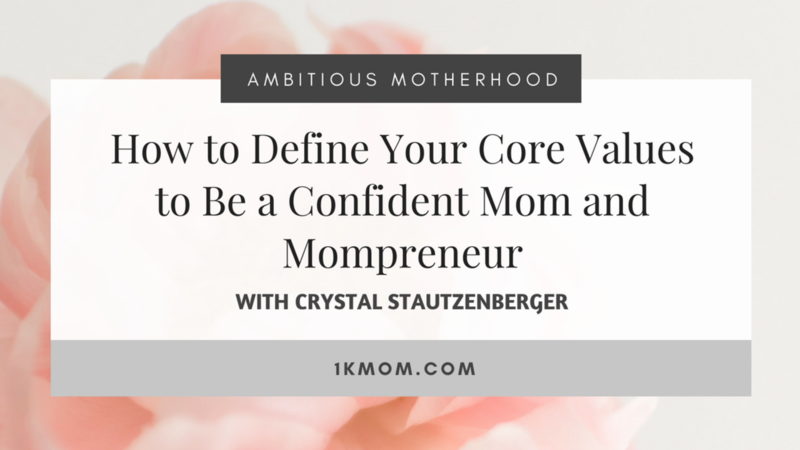 As mompreneurs we are often battling finding confidence in being a mom and also being an entrepreneur. 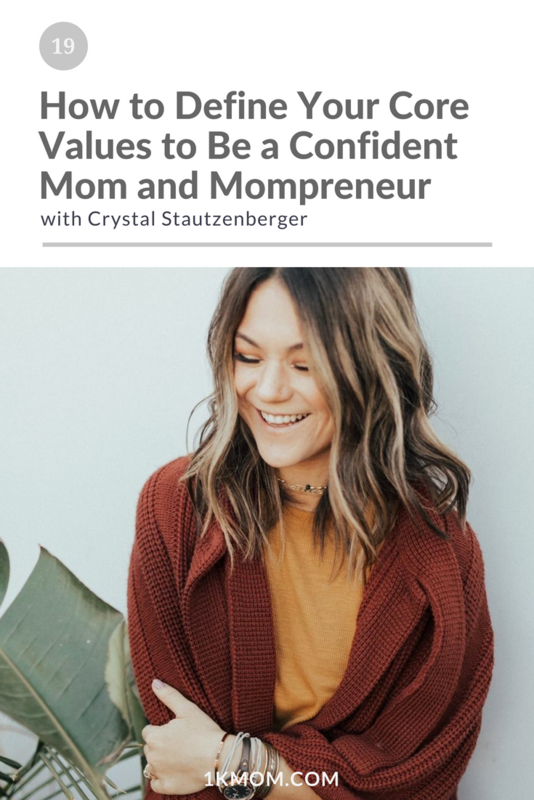 In today’s chat with Crystal from the Soul in the Raw Podcast & Coaching, we talk about how to use your core values to find confidence in motherhood and business as a mompreneur. Crystal is a certified Life Coach, Podcaster, co-owner of “Soul In The Raw Coaching”, co-author of “The Soul Shift Guide” E-Journal, Mama, Christ follower, and instigator of joy. She has a heart to help you live life intentionally, even when that means being brave and afraid at the same time. Each day she works with people to redefine their definition of success, release limiting beliefs, uncover their core values, and create a life/business dynamic that is fulfilling.